It is probably easy comprehending that there are millions of keys belonging to different people in Ontario but it is hard to figure out how many of them don’t belong to them. Previous tenants, friends, relatives or real estate agents may have the keys of your house and that’s why changing the master key system often is not simply wise but obligatory, if you want to shield your security. Rekey Locks Uxbridge keeps consulting its customers to inspect the needs of their keys and locks often and never neglect the significance of updates.Key change is important when you are moving into a new office or house in Uxbridge, when the keys and locks are products of much older technologies and when you have just gone through a home invasion. 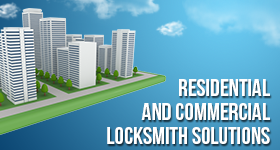 It is not an expensive procedure and our company believes that early replacement of the keys will save you the trouble of being locked out due to a broken key or experiencing a burglary due to a loose security system. Key replacement will actually give you the chance to get to know the new products and feel the security provided by new technologies. Our company works with qualified technicians, who have the experience to offer accurate professional services and share their technical knowledge in order to choose among a variety of products. Rekey Locks Uxbridge can assure you that changing your keys regularly and trusting its expertise will guarantee a safe world.